If the Creek Don’t Rise BLOG TOUR!! Participate in 2 reading challenges – During May I participated in the Bout of Books challenge and during this past month I participated in ARC August so this Goal is checked! Continue establishing relationships – I think I’m doing it, we’ll see how it goes I guess! I read all but two of the books on my TBR from last month plus a few more! Some of them I technically finished in September but I won’t include them at this point on my TBR for the next month since they’re already read. I actually don’t have many on the TBR list this month since I didn’t have a lot that I signed up for in September. I am hoping to get to some of the books on my backlog in addition to the ones listed below but I haven’t decided which ones yet. I will have to see where the wind takes me!! My birthday is coming up soon and I can’t wait to spend it with my nose in a book!! Happy reading everyone!! So that’s a wrap for this year! I had a great time participating in this challenge again and I hope to participate again next year! Happy reading everyone! When Noah Wilson first encounters the quirky, opinionated and very beautiful Angel Fallon, his world is turned upside down. It’s clear she’s not his normal type, but Noah can’t stop thinking about her—which doesn’t bode well for the blind date he’s already late for. Convinced by his friend (and self-professed dating expert) Marlon that thirteen dates is all you need to fall in love, Noah decides to give it a try with Angel. They should be incompatible: she’s impulsive and he’s a planner; he wants to settle down and she doesn’t ‘do’ relationships—or anything, for that matter—the way Noah is used to. But there’s something about Angel, and Noah can’t shake the idea that all they need is twelve more dates. Despite some near-disasters involving rock climbing, saddle sores and jellied eels, it seems his plan may actually work. But even if they do reach the magic number, can that really mean they’ll just fall into their happily-ever-after? My review: I was provided a free copy of this book in exchange for an honest and fair review. This book tells the story of Noah Wilson and Angel Fallon, a couple who meet at a Starbucks. Noah falls in love with Angel almost immediately, in a rush of feelings he never expected. Angel though is a bit more hesitant, convinced that relationships “aren’t her thing.” After spending a good amount of time just tracking her down, Noah wears down her defenses until she agrees to go out on a date with him. Since Angel is all about “new experiences” though, Noah has to spend some time coming up with various original date ideas, including horseback riding, rock wall climbing, and even eating jellied eels. And as Noah finds himself falling even harder in love with Angel, can he convince her to do the same? Overall this book was ok but wasn’t my favorite. I found Angel’s character annoying and frustrating, and Noah’s character was overly nice and naive. I understand Angel’s hesitancy towards relationships, given her situation, but the whole Margate trip sent me over the edge because she was so outstandingly rude. Other than that it was an ok and cute story. It reminded me a little oat first of The Rosie Project, mostly because of how incredibly different Angel and Noah were personality wise. The bottom line: I liked this book ok, it was interesting and was a cute/sweet story. Nothing thrilled me about it but it was pretty good. One night three years ago, the Tanner sisters disappeared: fifteen-year-old Cass and seventeen-year-old Emma. Three years later, Cass returns, without her sister Emma. Her story is one of kidnapping and betrayal, of a mysterious island where the two were held. But to forensic psychiatrist Dr. Abby Winter, something doesn’t add up. Looking deep within this dysfunctional family Dr. Winter uncovers a life where boundaries were violated and a narcissistic parent held sway. And where one sister’s return might just be the beginning of the crime. My review: I was provided a free copy of this book in exchange for an honest and fair review. This book tells the story of Cass Tanner, the daughter of a classic narcissist who disappeared three years ago along with her sister Emma. Cass suddenly appears after the three years on her mother’s doorstep, with claims that Emma is being held against her will and that they need to go save her. Spending most of the next few days with the police telling them every detail she can remember in the hopes that it will help piece together where they were being held and where Emma is now. Through all this, Dr. Abby Winter, a forensic psychiatrist who is familiar with this case, notices oddities about Cass’s story that don’t quite add up. Overall I loved this book. I didn’t want to put it down – the story was so interesting and engaging. It was perfectly in your head psychological and i could see into the mind of Cass and could understand her thought process. I loved the plot and all the plot twists and everything the story encompassed. Also funny story, I read this one while visiting my family’s house in Maine, which is off the coast near South Bristol. And funny enough when they’re trying to find the island where the girls were being held this was the exact location they were looking at. They even mention the island of Thrumcap in the book which is so cool because I could see that island from my house! Even without that added coincidence though, this was a great book with a lot to offer for a thriller and I would definitely recommend it!! The bottom line: I loved this book, I was hooked right from the very beginning. I loved how the author unfurled this story, I didn’t want to put the book down. I would definitely recommend it! Sadie Blue has been a wife for fifteen days. That’s long enough to know she should have never hitched herself to Roy Tupkin, even with the baby. Sadie is desperate to make her own mark on the world, but in remote Appalachia, a ticket out of town is hard to come by, and hope often gets stomped out. When a stranger sweeps into Baines Creek and knocks things off kilter, Sadie finds herself with an unexpected lifeline…if she can just figure out how to use it. This intimate insight into a fiercely proud, tenacious community unfolds through the voices of the forgotten folks of Baines Creek. With a colorful cast of characters that each contribute a new perspective, IF THE CREEK DON’T RISE is a debut novel bursting with heart, honesty, and homegrown grit. My review: I was provided a free copy of this book in exchange for an honest and fair review. 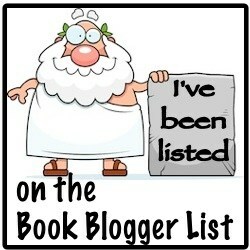 Also be sure to check out my Blog Tour post on the book here. This book tells the story of a small mountain town in North Carolina, Baines (which means “bones” in the local dialogue) Creek. It is there that we meet this interesting cast of characters, including Sadie Blue, a young pregnant woman trying to survive the beatings inflicted on her by her husband, Roy. Also included is Kate Shaw, the new local teacher, Prudence, the preacher’s sister, Eli, the preacher, and various others. We get to hear a little from each different character’s point of view, which I thought was really interesting for the overall story. The grammar was pretty hard to get through in some parts, the author tries hard to stay true to the dialect of the region being represented in the book and they are for the most part illiterate. The book follows the different characters lives through a strange course of events. Overall I liked this book a good amount. I liked seeing things through each different character’s point of view and I liked that each section from each different person revealed a new piece of the story. The grammar was hard to get through and also I felt like there were a lot of open pieces to the story left kind of unresolved, even with all the different points of view. I liked all the different characters, especially Sadie and Katie Shaw. There was a lot going on with so many different points of view and sometimes it was a little distracting. Other than that though I thought this was a good book and I was interested to see what would happen in the end. The bottom line: I liked this book an ok amount, it was interesting but the grammar was hard to sludge through, even though it seemed like it was done on purpose. I would recommend it! -If The Creek Don’t Rise by Leah Weiss – Just starting today! This week is going to be a little nuts. Work is really picking up for me now and I”m gearing up for almost two weeks off so I have a lot to do before my vacation starts. And for my vacation time, The Terryville Fair is coming up this weekend and that’s always a busy weekend for my family and I since we work pretty much the whole weekend. And then late afternoon Sunday I leave for Maine, where I will hopefully be able to get more reading done than I have for most of August so far! Even though this week will be busy, it will also be extremely fun and I’m looking forward to starting the festivities! I’m sure I’ll find time to read when I can but I’m not going to stress too much about it for now! Happy reading everyone!! Jordan Carpenter thinks she’s finally found the perfect candidate for Jilted, a new dating show about runaway grooms: firefighter Luke Elliott, a known player who’s left not one but three brides at the altar. The only problem? Luke refuses to answer Jordan’s emails or return her calls. Which is how she ends up on a flight to Montana to recruit him in person. It’s not Manhattan, but at least the locals in Lucky Hollow seem friendly . . . except for Luke, who’s more intense—and way hotter—than the slick womanizer Jordan expected. My review: I was provided a free copy of this book in exchange for an honest and fair review. This book tells the story of Jordan Carpenter, a tv producer from New York City, and Luke Elliott, a firefighter from a small town in Montana. Normally these two might never have crossed paths but luckily Jordan is trying to cast the star of a new tv show called Jilted (The Bachelor but for guys with commitment problems) and Luke has left three women at the altar, and by all accounts seems perfect to be the star of the show. And so Jordan travels (*cough*stalks*cough*) to Montana to convince him in person. Only problem is once she gets there she finds herself distracted by.. well by Luke himself. While he sure is surly he also has a heart of gold. But while Jordan’s career rests on Luke’s answer, can she really throw her life away and open herself up to this new opportunity with Luke? Overall this was a really good book. I really got hooked into the story and I didn’t want to put it down. There was some great chemistry between the main characters and I thought the author did a great job of really developing their relationship, especially considering how short the book was. This was a fairly quick and easy read, and it would be just perfect for reading on your summer vacation. My only warning is don’t think too hard in like a feminist mentality, Jordan seemed genuinely happy with her decisions and I like that the author accurately portrays how much her character likes the small town life. My only real complaint with this one is that I thought it would’ve been really fun to read about Luke actually being on the show but it sounds like we’ll get a glimpse of that with the second book in the series, Runaway Groom. I liked this one a lot and I can’t wait for the next one in the series!! The bottom line: I liked this book a lot, it was a sweet story and it was a good read. I really got hooked into the story, I didn’t want to put it down! I would recommend it!